It's a townhouse with 4 bedrooms fully furnished. There is one room available and you will be having your own bedroom and sharing the house with 2 females and 2 males. There is a large garage and feel free to park your car there cause I have no car so far. INDOOR FACILITIES: wash machine, heater, dishwasher, TV, garage, desk tables, built-in wardrobes, dining tables, sofa... The location is convenient. Woolworth and 526 bus stop are 5 minutes' walk from our place. It is about 9K to the city, only takes approximately 20 minutes to drive there. Come take a look if you are interested! Annah and I are looking for a sustainably minded, easy going legend to join our future home in Coburg North. 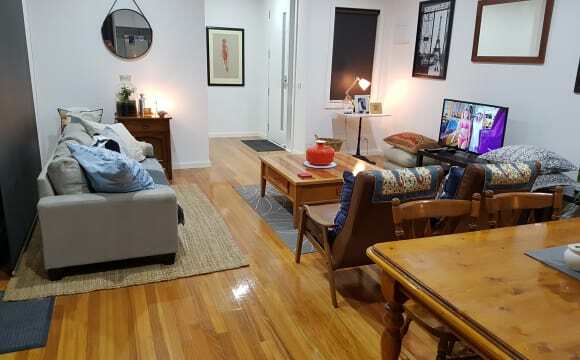 If you work or study full time and are keen to suss out a cozy home located next to Merri Creek, get in touch. Our lease begins on the 13th of April so we are hoping to get someone to sign on asap. The room is brightly lit with space for a double bed and a byo wardrobe (we have a spare one at our current house if you need!). Rent is $200pw. The house runs on grey and rain water, there are fruit trees and ample space for more veggie growing! Sorry about the lack of pics of the room! 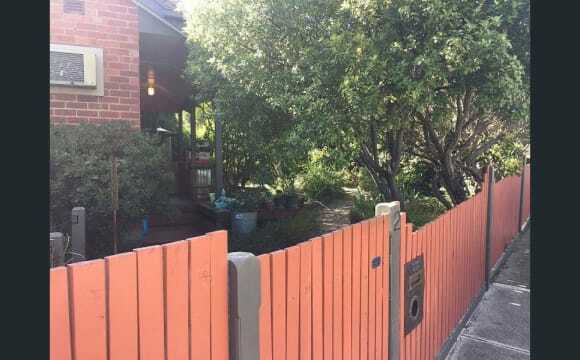 Can get more on Saturday :D Accessibility wise there are a few stairs throughout the property, anyone is welcome to come and suss the place (pm me if you have further questions about this). The house is the perfect size for three people with a spacious bathroom and separate toilet in the laundry. There is heating/cooling in the lounge, a backyard with a clothesline and a garden shed. Hello, this house is located in a quite street and shops/ buses are around the corner. It’s suitable for someone looking for quite environment. 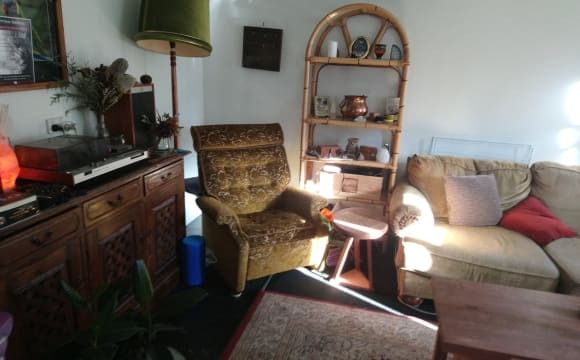 Someone who is easy going and respectful doesn’t mind living in a bit old styled house. We have air conditioning in every room Backyard and front garden,laudry and large living rooms. The wi-fi is included in the rent but the bills are outside (every 3month). A brand new townhouse at the end of the block so it's quiet and secure. Polished floorboards throughout the open plan living space. There is a furnished dining area which can also be used as a study. A student/flight attendant or someone running a business from home would ideally suit this environment. The home has split system heating/air conditioning, dishwasher, european laundry and brand new appliances. There are 2 courtyards. The shared courtyard is landscaped, secure and a great space to relax. The bedroom offered has a double bed in it only a year old. Linen is provided if required. It also has heating and access to its own private courtyard. The bedroom is carpeted and has built in wardrobes and loads of storage space. The area has a great sense of community which is warm, friendly and engaging. It's a 3 minute walk to the supermarket/shops and parks surrounding the area.The bus stop is also a 3min walk away and connects to tram and train in no time at all. Bond is required 2 weeks prior to moving in to assure agreement is substantiated. Available until 25 August 2019. Location - 5min walk to tram, 8-10min walk to Coburg station, plenty of cafes, gyms, supermarkets etc in between. Room - Furnished with double bed and with room for bed side table either side. Bed has drawers underneath plus there is a good sized built in wardrobe with loads of hanging space. 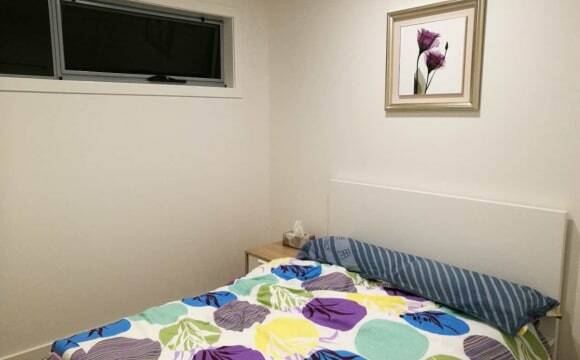 Room doesn’t have external window, but window onto internal hallway (frosted glass and too high for anyone to see in) so is perfect for someone who loves a warm and quiet bedroom to sleep in. Energy, water, Netflix and wifi (limited but I've never gone over) included. It's very close to Coburg station, Sydney road tram station, Bell st bus stop. The room has a big window, the living room has a nice balcony with a nice view. It's on level 3. There's no lift. I am looking for an easy going, friendly, clean person to share my second room. 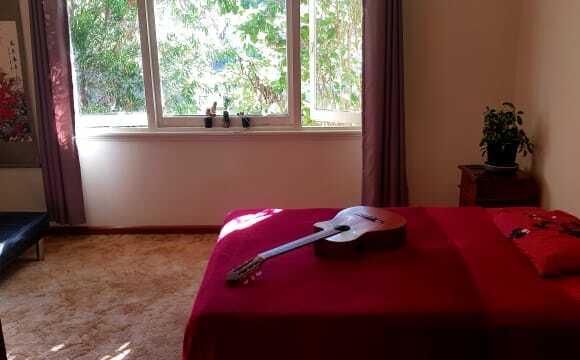 MASTER BEDROOM W/ENSUITE IN 3BR UNIT/APARTMENT-COBURG. The unit/apartment is located in a block of other residences, that has a set of gates at the front (only residents can open gate). The room available for rent is the master bedroom, large walk-in robe, ensuite bathroom, split system and a large window. The apartment has a fully functioning kitchen, laundry and balcony, unfortunately we do not have much dining or lounge furniture currently. There is currently a new apartment building being built next door and has two schools nearby. It is located just off Sydney road, Coburg station is 5-10 minute walk, Sydney rd/Bell st. tram stop 5min walk, bus stop 2 minute walk, Coles &amp; Woolworths 5-10 minute walk next to Coburg station. 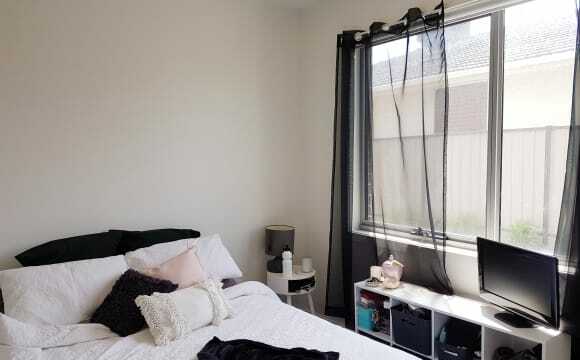 20 minutes from La Trobe Bundoora campus, 10-15 minutes to Northland, 20 minutes to the Tullamarine airport and Highpoint Shopping centre. We split all utilities three ways - On average: water $80.00 per quarter, electric $40-$60 per month; internet $25 per month. Rent per month: $920.00 Bond: $460.00 First months rent + bond (2 weeks rent) is to be paid by move in day. A nice and quiet place . Nice and quiet place with a small backyard to have a Coke and read a book. Gym across the street, Coles store nearby, coffee and breakfast, fish and chips,sports play ground all just a few steps from home. Hi there! we are looking for a female Flatmate to share our lovely 2 bedroom apartment. Your new home is a tastefully appointed modern 2 Bedroom apartment in a 2 yr old complex. Fully furnished except your room. Sharing apartment with a married couple. Courtyard garden. Street parking. Large open plan living area, galley kitchen, laundry in main bathroom, washer and dryer. Close to train bus and freeway. $200 per week for single / $220 per week for a couple, first in first served Including bills and unlimited internet. Furnished (bed + mattress, drawers) – can be removed upon request. Wardrobes and extra floor space for your own furniture. 4BR house and a separate bathroom and toilet. Looking for someone keen to stay the long run (3 months or more, preferably 6 – 12 months). WHAT'S NEXT: PM me to find out more information and put your name on the list for inspections (when they become available) – first come, first serve policy. Hope to see you soon! Public Transport: Pascoe Vale train station is a 12 minute down the hill, within a short walk there are bus stops scattered across Cumberland Road, Bell Street and Gaffney Street. 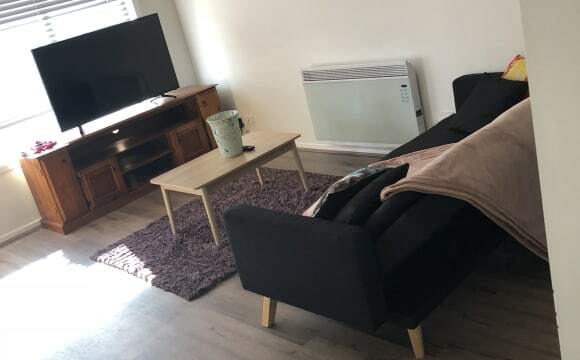 Nearby Amenities: Within a short stroll there is a bakery, tatts lotto, cafe (awesome coffee), pharmacy, liquor stores, laundromat, hairdresser, pizza shop, fish n chip shop, Coles is a short drive down the road. The Townhouse: Modern and cosy, both bedrooms, bathroom and laundry are located downstairs while the open plan kitchen, dining and living area including a separate toilet are upstairs with natural light flowing into this space. Furnishings: I have furnished the house so you just need to furnish your bedroom but happy for you to make the place your own if you want to bring furniture. The bedroom fits a queen size bed and other furniture. You have a BIR with shelving included. Comforts include: Brand new fridge and washing machine Bath Split system heating and cooling upstairs Separate toilet upstairs Bedroom heater Wifi Netflix. I have 2 cats so no additional cats or dogs sorry. No house rules, no rosters. If you mess it, clean it. Respect the house including all occupants. You will need to be approved by the real estate/Landlords. Rent is payable 4 weeks in advance at $793 per calendar month. Bond - to be discussed. We have a large room available in a lovely Coburg house. The room is available right now and we would love to fill it ASAP. We live on a lovely quiet street. It is a 5 minute walk to the 19 tram down Sydney Road and a 25 minute tram ride into the City. It’s a two-minute walk to Coburg Train Station and shopping centre . The house: $650 per calendar month rent (same in bond) The room is really large at roughly 4m x 5m. There are beautiful wooden floors, high ceilings with lots of natural light. 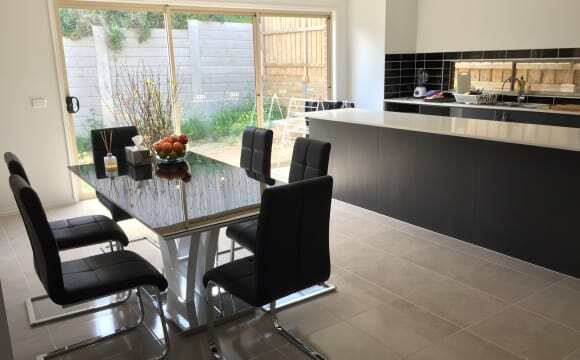 There is a massive open plan living area with a beautiful kitchen which has lots of bench space. Two bathrooms/toilets. We have a garage, a medium sized backyard and a shed.